Since the year 2000, 52% of fortune 500 companies no longer exist. 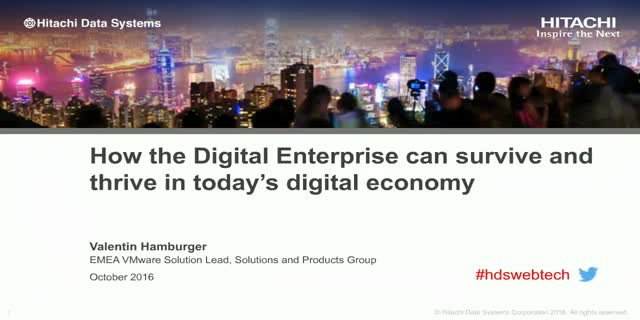 Digital transformation is essential for organizations to survive and thrive in the digital economy. IT needs to transform into a digital enabler to create new revenue streams, improve operational efficiencies and drive superior customer experience. However, there is a growing gap between business expectations and IT's ability to execute in order to realize efficient economic transformation. A new approach is needed. Join us to find out how a Programmable Data Center is emerging as the IT foundation for digital transformation.